Harden's Guides have been compiling reviews of the best restaurants in Brecon since 1998. 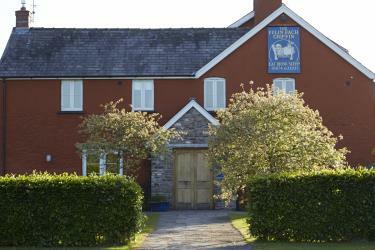 Hardens guides have spent 15 years compiling reviews of the best Brecon restaurants. On Hardens.com you'll find details and reviews of 3 restaurants in Brecon and our unique survey based approach to rating and reviewing Brecon restaurants gives you the best insight into the top restaurants in every area and of every type of cuisine. “An oasis at the foot of the magnificent Brecon Beacons” – this well-known gastropub (on the site of an old cider mill) has been a foodie feature of the area for decades – a “busy venue (book ahead)”, with food that’s “consistently excellent”. These are the top restaurants in Brecon based on reviews by Hardens users.